Wine and Dine with some candlelight, by the poolside! "Do you know what rhymes with Valentine? It is fine dine, topped with some lovely wine! Enjoy a romantic candle light dinner with a statesque view by the poolside of a reputed restaurant in Jaipur. 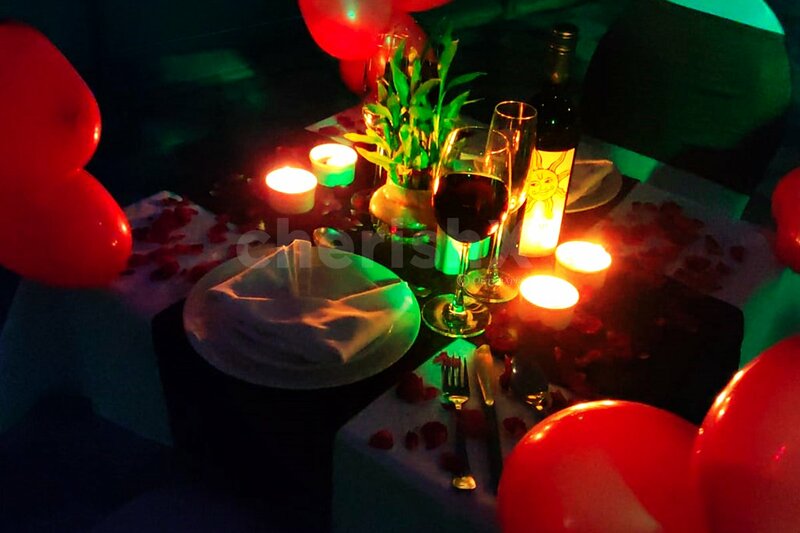 You now have the chance to sweep your valentine off their feet by treating them to a decadent multi-cuisine 4 course veg/nonveg meal consisting of 2 starters, 2 mains, 2 desserts, and unlimited breads. You will also get welcome mocktails for 2 upon arrival, followed by a bottle of wine! 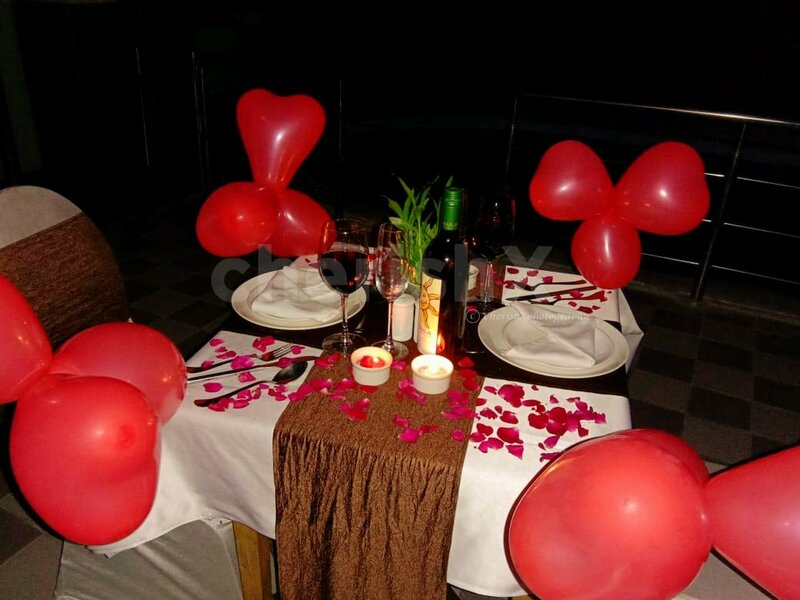 You will be seated on a beautifully decorated table with a poolside view. A sigri will be arranged near you to keep you warm in this crisp and romantic weather. The experience is set in a large space and hence is semi-private. To give you a feeling of luxury and class, you will be served a bottle of taste-worthy wine. Shortly after that you will find yourself gorging on a meal cooked to perfection and satisfying your hunger pangs as well as your taste buds. 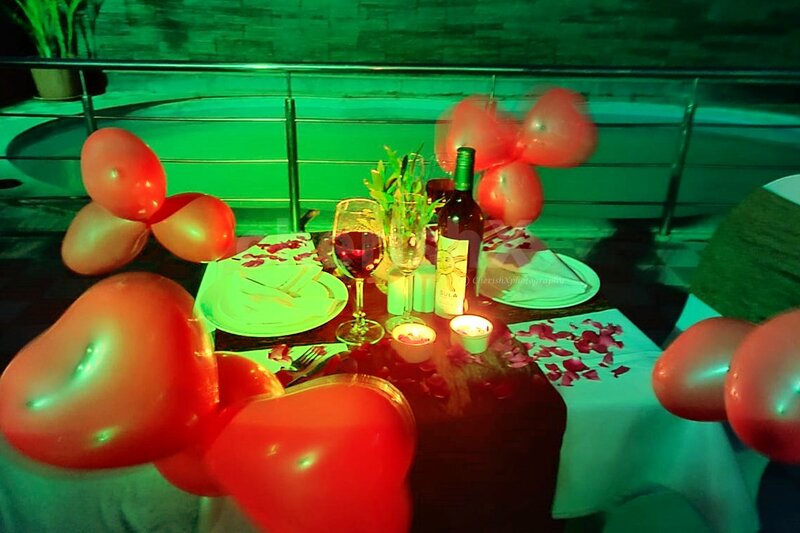 This is the date of your dreams- this valentines day, take someone out who is precious to you on this wonderful experience. It could be anyone you hold dear- your parents, your friend, your grandmom or grandfather! Parking will not be a problem for you if you come by car, as ample space is available. Join the happiness and festive fervour, and buy this experience now."